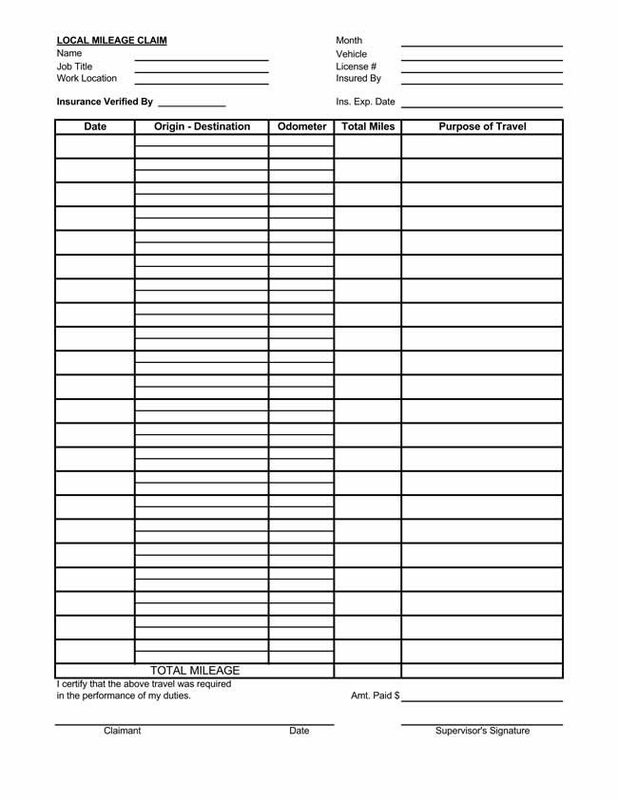 Printable mileage log templates are an easy and efficient way to record your cars mileage. There are important business and individual related reasons why an individual should be keeping track of their vehicle’s mileage. 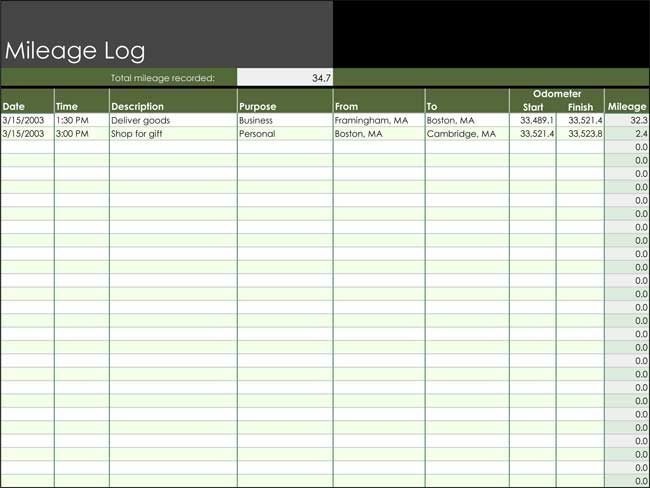 Mileage logs provide evidence of your travels when you are due for reimbursement, for tax purposes, or to simply keep track of your fuel usage. When a job requires you to travel to business meetings, the airport or luncheons, recording your mileage is vital. Keeping a mileage log helps you get reimbursed for any fuel expenses incurred during your travels. 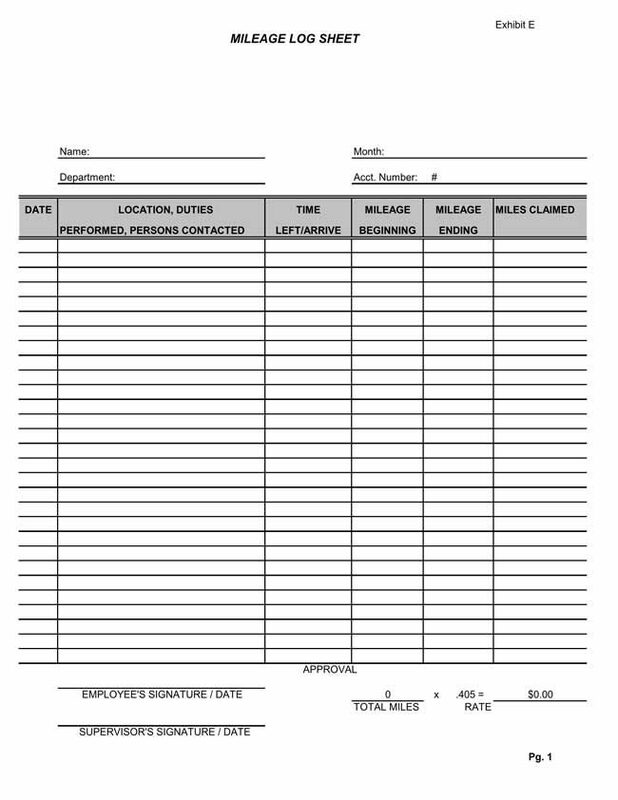 An accurate and professionally done mileage log will be appreciated by the payroll department, as it makes their job easier as well. 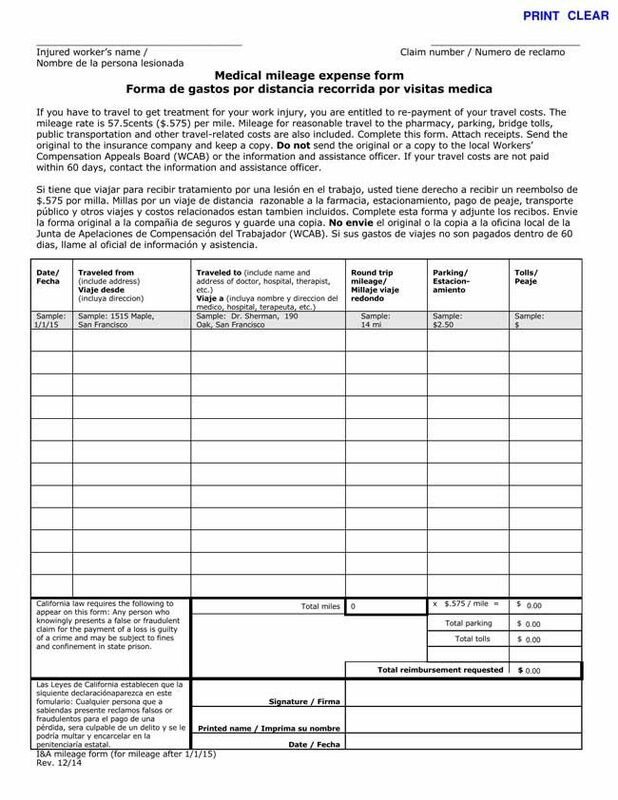 You not only need a mileage log for reimbursement, but also for tax purposes. 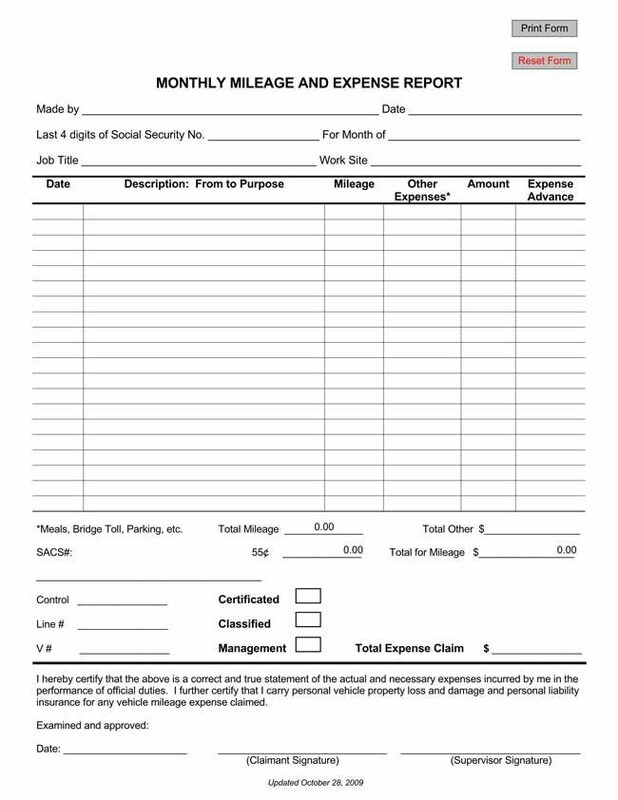 Your employer will appreciate your mileage log as they can use it as evidence for a tax write off. If you are in business for yourself, you will definitely want to keep track of your mileage, as you can claim it as a tax write off. Keeping a mileage log is an easy way to make sure you are keeping your business mileage separate from your personal mileage, and this is very important for tax purposes. The mileage log also helps you budget for travel expenses before hand. For example, if you know you are going to drive 8 miles to a business destination on Monday, you can put aside the necessary funds. Mileage logs are extremely beneficial in the proper care and maintenance of your vehicle. Keeping track of your mileage can alert you when you need to have a tire change, your fuel injectors cleaned, or your oil changed. If you find the thought of grabbing a notebook and keeping your own mileage log a bit daunting and troublesome, well there’s a much better way. 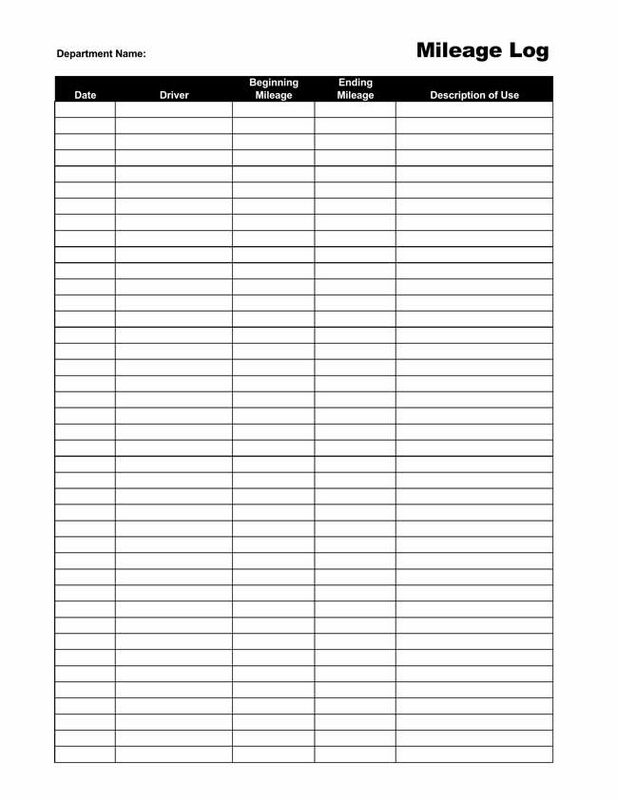 Printable mileage log templates are now available online and do a marvelous job at assisting you to keep track of your mileage in an organized, neat and painless manner. 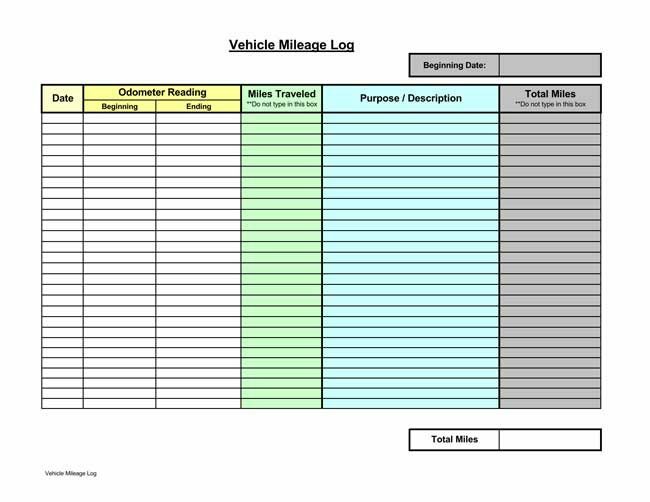 We are offering up to 6 different printable mileage log templates, free for download. Each of these templates are professionally designed, easy to use and will work in Excel. 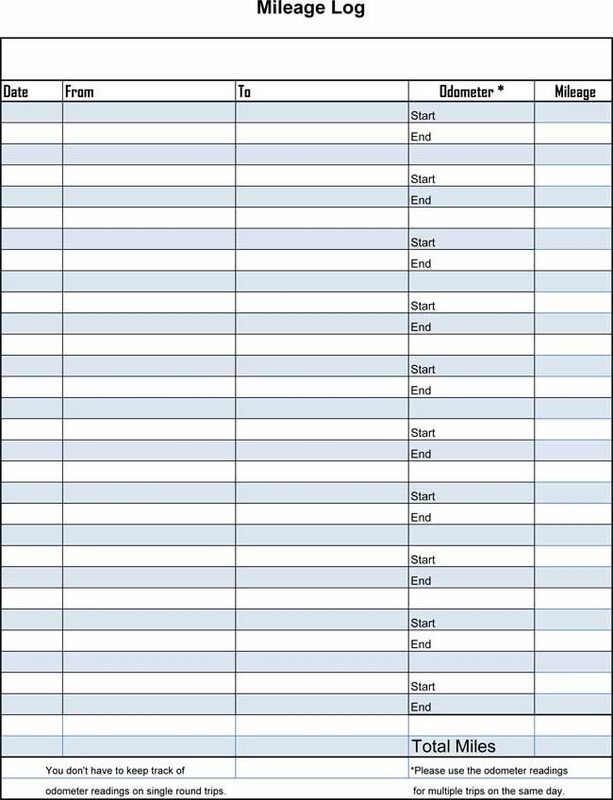 Our printable mileage log templates will easily and effortlessly allow you to keep track of your mileage, and even help you to calculate the miles traveled in a journey. You can either download these templates as single sheets, or you can enter the values directly into the template via the Excel program. So whether for personal or business use, keeping an accurate mileage log is a sound and beneficial practice.